It’s our aim to empower you with a wholesome product portfolio which ensures that your customers get everything that they need under a single roof. To make this possible, our team meticulously works towards integrating new Domain extensions, Web Hosting products, Website Builders, Digital Security solutions, etc. in OrderBox. In this section, we talk about all our product launches and third-party product integrations. WordPress Lite – Four new plans with competitive pricing! WordPress is the world’s most popular website building tool, giving your customers access to thousands of free themes and plugins that help simplify the design process. It also allows them to add powerful features with just a few clicks. We’re thrilled to announce that in addition to the existing plans, we’ve just launched four new WordPress Hosting plans! The new economical WordPress Lite is crafted especially for WordPress Pros & Bloggers. These plans enable your customers to get all the features of WordPress Hosting at half the cost, right from Automatic WordPress Core Upgrades to an intuitive panel for Monitoring, Email and SSL. Demystifying Weebly – Our take on the simplest drag & drop website builder! It’s been over a month since we launched Weebly and we’re back with an extensive, feature-driven post on how Weebly can make life easier for you and your customers. Weebly currently powers over 40 million websites, equivalent to more than 2% (and growing) of all the websites on the internet today! Weebly also gives your customers access to their HTML / CSS editor so, if they want, they have the option to extensively modify their website’s design. We’re extremely proud to announce the successful launch of Weebly on the LogicBoxes platform! 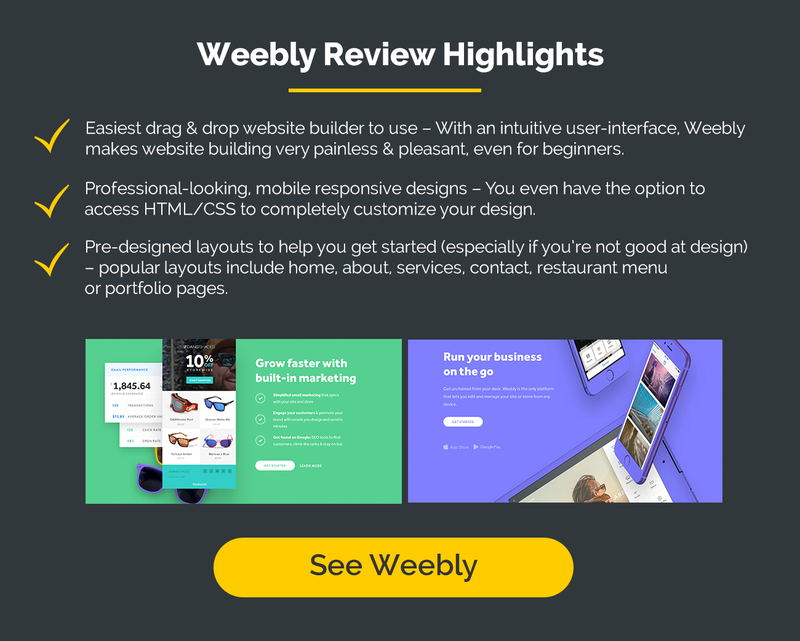 If your customers are looking to build a professional-looking website or just a personal one to showcase their hobbies or interests, Weebly is one of the easiest website builders in the market today. Weebly currently powers over 40 million websites, equivalent to more than 2% (and growing) of all the websites on the internet today. Very simply put – an extremely user-friendly, drag & drop website builder. Weebly prides itself in keeping things simple and minimalistic and its user interface is very intuitive to use, which works out to be perfect for all levels of users. Weebly has a wide range of professional themes to choose from, built to suit the needs of all levels of businesses and individuals. It also gives the flexibility to make edits in its default code, which opens up a world of possibilities in terms of design. In short, Weebly has it all! Furthermore, Weebly gives the end user an option to change templates at the click of a button, which makes it all the more simpler to change up one’s design once in a while. All existing content will be automatically transferred on to the new template that’s picked. Focus on what’s important. Allow your customers to manage and grow their business without worrying about downtimes and load speeds. Display photos/videos, make the site SEO-friendly and even edit CSS/HTML. Weebly’s tools give the customer full control of their site. Weebly’s shopping cart software is set up automatically while creating an online store so they can start selling immediately. Helps manage hundreds of products. It shows customers the number of items remaining and automatically updates shoppers when items are out of stock. It also helps show prospective buyers information on shipping costs and tax rates along with coupon codes to incentivise shoppers and drive sales. Weebly offers all of the standard features one would expect from a modern website builder and then some. You can take a look at what to expect with Weebly in a short video, or check our FAQs for more details. To make this available to your customers, do make sure to Sign up today! PS: Stay tuned for our follow up post on a more extensive read/review on Weebly.